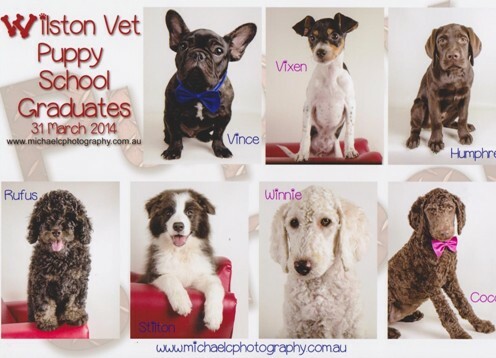 If you have a puppy, then be sure to book in for Wilston Vet’s Puppy Preschool in Brisbane. Here your puppy will gain valuable socialisation skills essential to ensure that he/she does not become a problem later on. 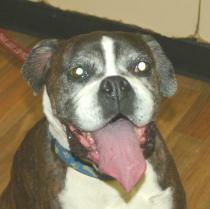 You will also learn vital skills in training your puppy dog and general pet health issues. Best of all… it’s loads of fun! Classes are run on Monday and Wednesday nights from 7:15pm -8:15pm and a course of 4 classes costs $150. We also run Juvenile Classes (for pups from 14- 24 weeks of age….see below) on Sunday afternoons at 4 pm. Our Puppy School classes focus on positive reward based training techniques and no punishment techniques are used. Puppies must be aged between 8 and 14 weeks on the first class to start puppy school and have had their first vaccination. To book call us on (07) 3357 3882 or email info@wilstonvet.com.au. 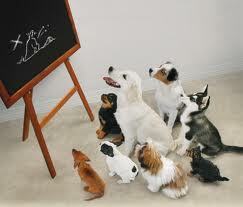 Places are limited as we like to keep the classes small to ensure every puppy receives the teacher’s full attention. Class Start dates for 2019 are as follows- Please note classes are held on 4 consecutive Mons or 4 consecutive Weds at 7.15 pm. * Please note that these dates and teachers may require alteration from time to time due to public holidays etc.